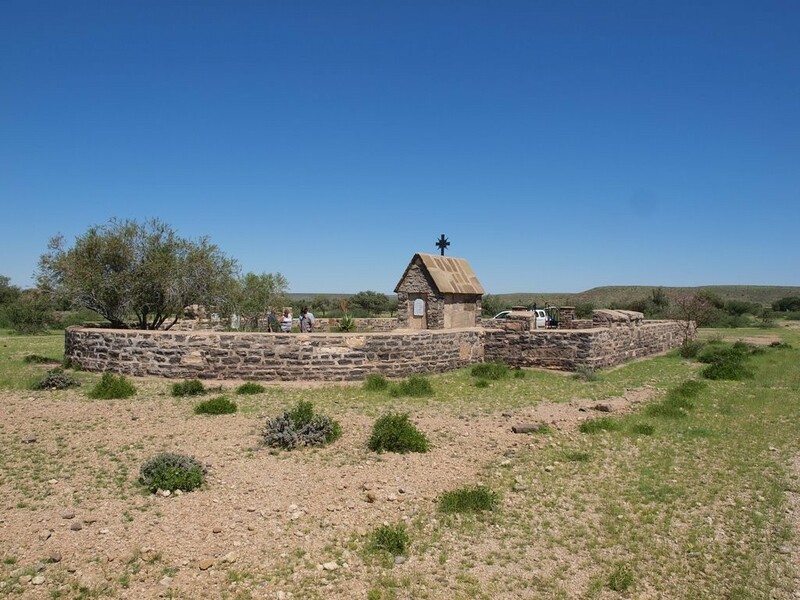 The Farm Mooifontein was the site of a German military station during the colonial period known as Chamis 'Lion's Fountain'. 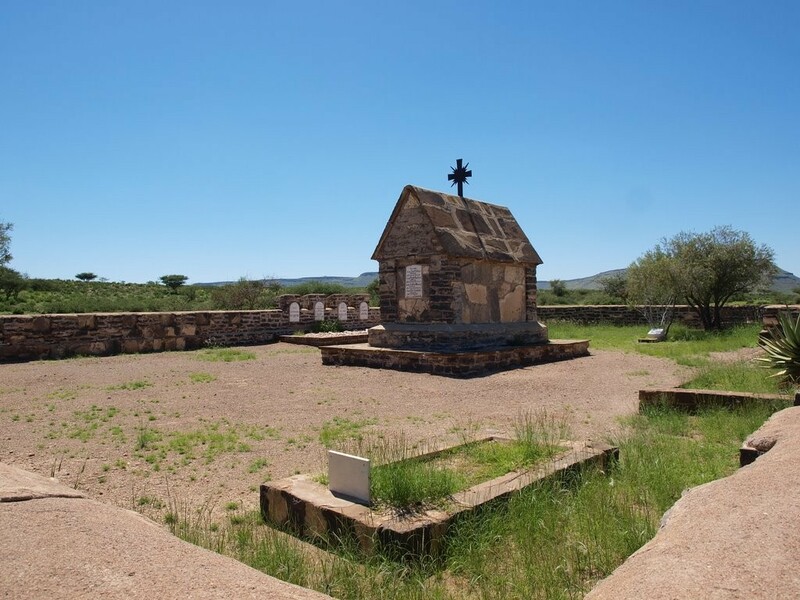 The bodies of a small number of German soldiers who fell whilst fighting in the Nama uprising (1903-1907) were laid to rest at Chamis. Several civilians were also buried here. A small stone chapel serves as the centre piece to the cemetery. Local large flat stones form the roof held together by strong iron bars. Marble tablets have been fixed to the walls of the chapel bearing the names of the fallen soldiers. The graves have been placed inside a beautiful stone wall that surrounds the cemetery. It is in the main rectangular, but with a semi-circular southern section. 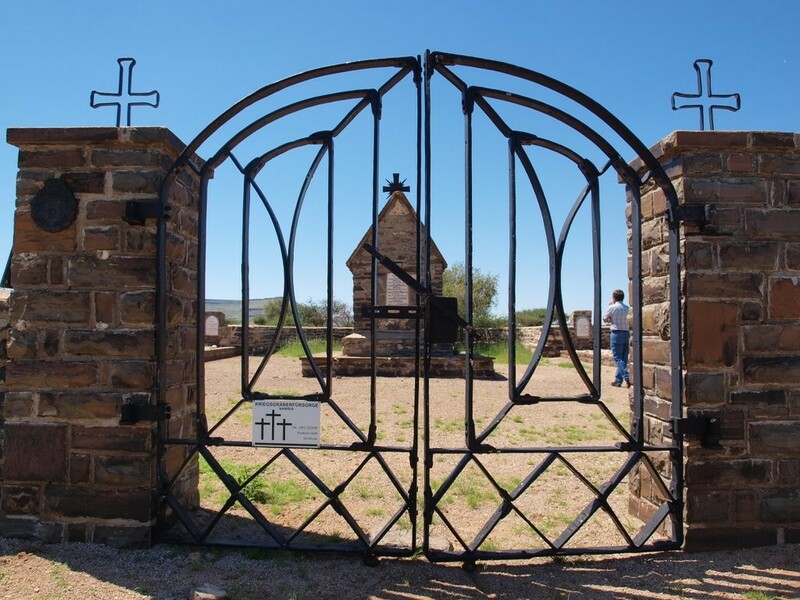 Access to the cemetery is through the north gate, an iron construction forged from the rims of ox-wagon wheels. The gate is widely recognized as being an excellent piece of artistry even though it was constructed in such a secluded location. 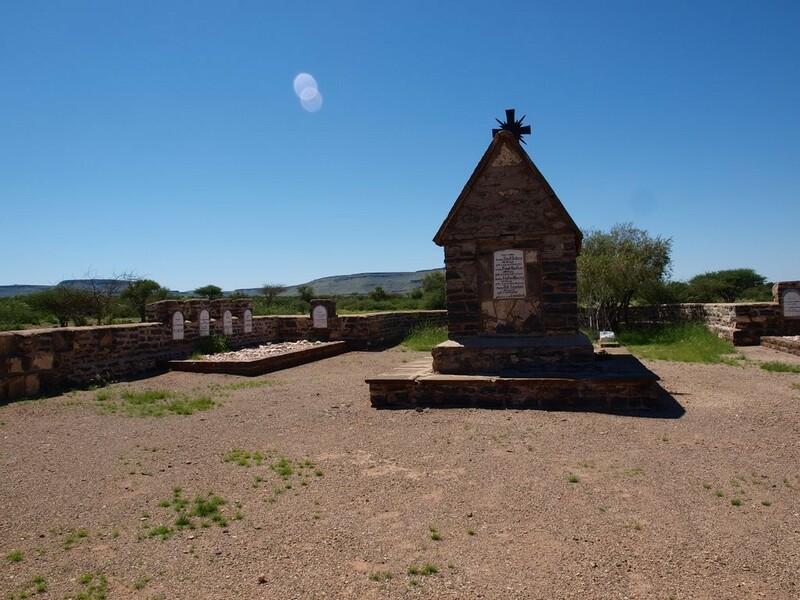 The Cemetery at Farm Mooifontein, Helmeringhausen, situated 19 km south of Helmeringhausen on the C14 in the district of Bethanien was officially proclaimed a national monument on 15th March 1969.